In the plant kingdom, only one group of plants produces flowers: angiosperms. Angiosperms are sexual reproducers, and flowers are their sexual organs. This being so, flowers have sexes and can be male, female or even hermaphroditic. Including these male and/or female parts, a flower can feature up to four basic parts. Those missing one or more parts are called incomplete flowers. A female flower, then, is an incomplete flower. Lacking a male stamen, female flowers can have a maximum of three parts. Sepals are the outermost basic flower part, located just above the receptacle, which is the place where a flower attaches to the rest of the plant. Sepals are leaf-like structures, there to protect flowers when they're in bud form. Collectively, sepals are called a calyx, this calyx, once the flower opens, looking like a sort of bowl or pedestal upon which the rest of the flower sits. Sepals are often green, but other colors like brown occur. They're usually nondescript, leaving showiness up to the petals. Sepals aren't necessary for a flower to fulfill its reproductive mission. This being the case, sepals are called an accessory flower organ. Being an accessory, the flower might not even possess sepals. Petals are another accessory part, these sitting just above the calyx, if sepals are present. Petals are collectively called the corolla of a flower; the calyx and corolla together are called the perianth. Petals can have several functions in a plant. First, like sepals, they may protect the inner parts of a flower. Petals' main function, though, in flowers that employ creatures to help pollination along, is to be seductive. The petals' size and color demand attention. Perfumed petals promise delight on closer inspection, often emitting a scent that will specifically appeal to a pollinator the plant favors. For instance, a flower that emits the scent of rotting meat is trying to attract fly pollinators. Finally, the base of the petals might house nectar glands that can feed creatures like bees, hummingbirds and butterflies. Many of us as children have been drawn in by the nectar of a honeysuckle. The presence of a pistil by itself within the petals makes a flower female. Because a female flower is defined by the presence of a pistil, it is called pistillate. Pistils are always found in the very center of a flower, possessing a wide, bulbous base, the pistil's ovary. Eggs reside there, awaiting fertilization through pollination. Moving up from the base, the narrowing "neck" of the pistil is called a style. When a flower is fertilized, sperm contained in pollen travel down the style to reach the egg. 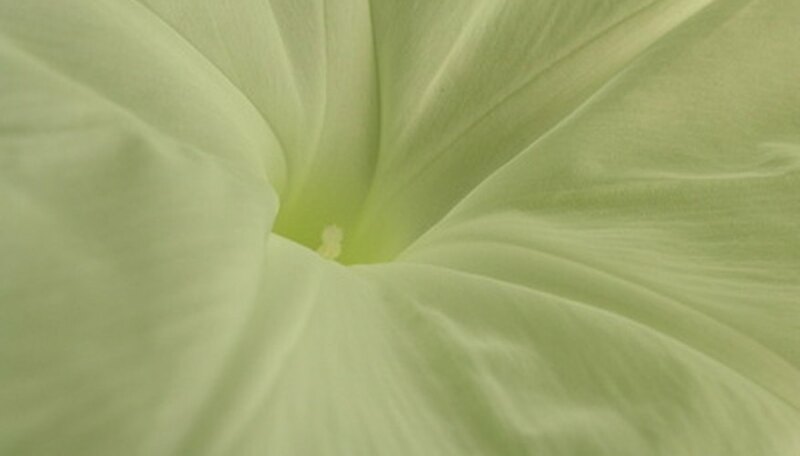 At the top of the pistil is the stigma, there to catch pollen blown in by wind or by a visit from a creature.